Are you fed-up of overpriced CPUs that deliver underwhelming performance – year after year? Are you tired of being limited to sub-par performance due to unfairly high prices? So are we! Evetech has always believed that brilliant performance should be more accessible to everyone. 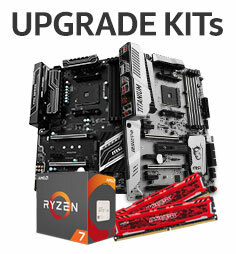 Announcing the launch of the revolutionary AMD RYZEN 7 series of processors, RYZEN 7 powered PCs, and upgrade kits – the finest selection of AMD RYZEN based products available in South Africa. 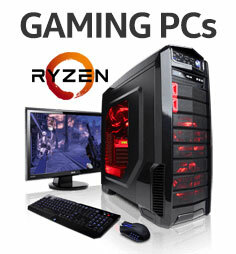 Outfitted with AMD’s latest processors, our range of RYZEN 7 powered gaming pcs offer the best performance at reasonable prices to boot! An absolute dream for gamers and enthusiasts, these RYZEN 7 CPUscombined with top-notch GPUs are sure to deliver blistering frame rates on all the latest game releases. AMD RYZEN 7 series processors boasts 8 physical cores and 16 threads. This ensures that these CPUs can breeze through tasks like video encoding and 3D modelling/rendering – as fast as, or even faster, than any other processor on the market. That’s not all. Depending on the cooling system you install, the ‘X’ series of RYZEN processors also boast the amazing ability to overclock themselves. Automatically. Be Smarter. Be Faster. Be more Power-efficient. At astounding prices! So, what are you waiting for? 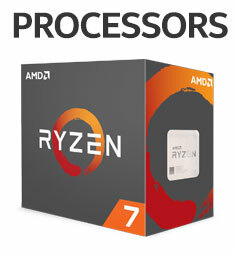 Go ahead and choose from our extensive lineup of brand-new AMD RYZEN 7 based products – bring home the performance you deserve – at a price you can afford.